SKU: PD-THHAM. Categories: Pendants, Sacred Totems. Without Thor’s help, you might not be able to lift Mjollnir, but you can wear it around your neck to invoke the protection of Thor! 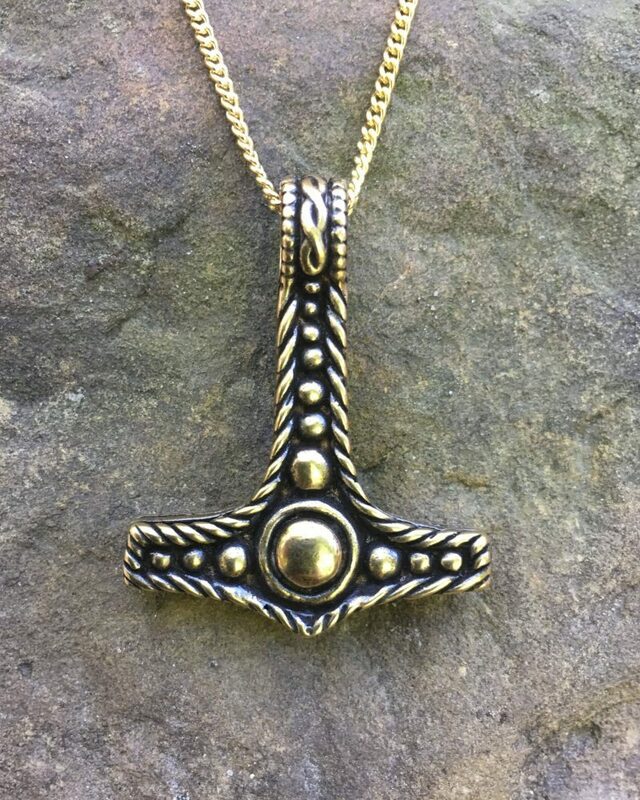 Our Thor’s Hammer is available in both bronze and silver and comes with either an 18” gold or silver-tone steel chain. The hammer is approximately 1.5” by 1.75” (38 x 44 mm).